HTC One users across the pond: your time has come. 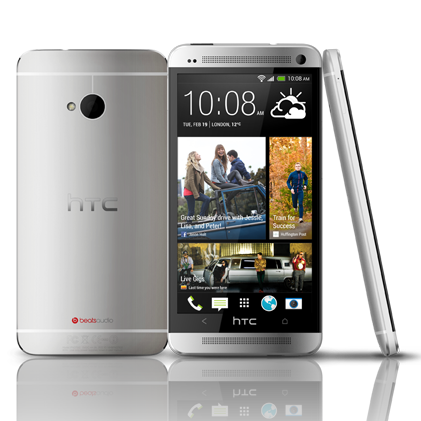 We're hearing from multiple sources across the Internet that HTC One units in continental Europe and Russia are being updated to the latest version of Android right now. The first one to tip us was reader Matiss Justs, who got the over-the-air alert for Android 4.4.2 just before noon local time (4AM EST) in Latvia. Other users are reporting in from Finland, Norway, Romania, the Czech Republic, Russia, and Spain. I think it's safe to say that the update is spreading through the major European markets at the moment, though we haven't heard anything from the United Kingdom or Ireland. 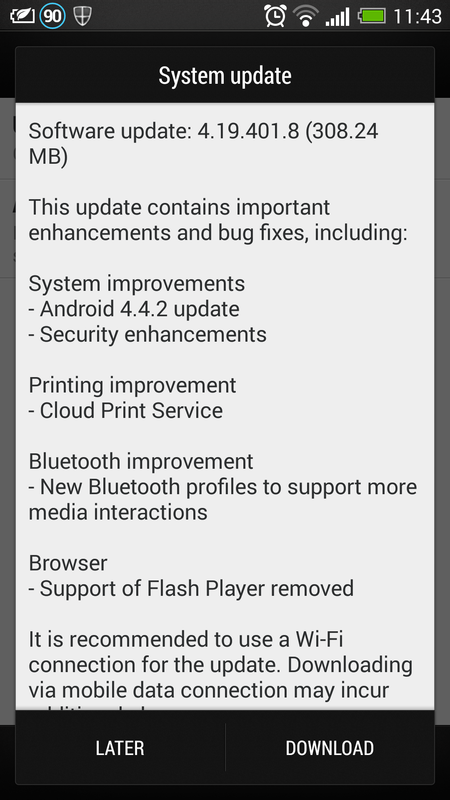 The update is just north of 300 megabytes, and in addition to all the goodies from Android 4.4.2, it adds a few fixes for security, Bluetooth, and cloud printing on the One. Also, it looks like HTC has revamped the default browser, which means that support for Flash is now gone. As usual you can try to initiate a manual update via the Android settings menu, or start digging for a localized OTA file at your usual Android forum haunt. If you're seeing the One 4.4.2 update in any of the countries we haven't mentioned here, drop us a line in the comments section.